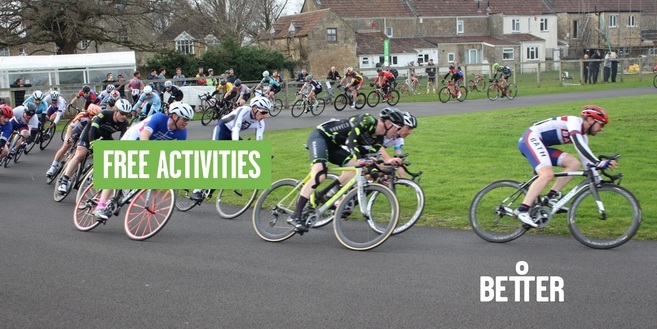 We're holding a wide range of free outdoor activities across Bath and North East Somerset throughout May half term for all the family! Whether you're new to golf or a regular player, our courses are a great place to develop your drive or practice your putting, right in the heart of Bath. Bath Approach Golf Course will be offering a free golf session on Tuesday 29th May from 1:00pm until 4:00pm. There will also be a coach on hand to offer hints and tips to improve your game, all for free! Entry Hill Golf Course will also be offering a free golf session on Wednesday 30th May from 1:00pm until 4:00pm. You can borrow a club and a ball for free or bring your own and there is no strict dress code at either course. Football fan? Bring a ball and try one of our open 3G sessions at Odd Down Sports Ground for free on Monday 28th May (10:00am-12:00pm) and Friday 1st June (2:00pm-4:00pm). On Thursday 31st May our cycle track at Odd Down Sports Ground will be free of charge to access from 9:00am-5:00pm. The 1.5km cycle track is a great place to learn to ride or train in a safe traffic free environment. Bike hire is also available for £3.00 plus a deposit.